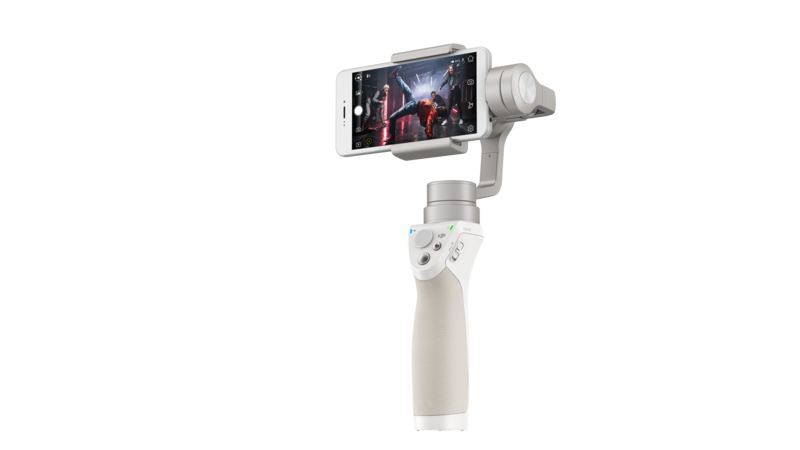 January 3, 2017 – DJI, the world leader in unmanned aerial technology, Tuesday introduced two new Osmo product extensions, a new aerial mapping app and a limited edition Phantom 4 drone at CES Unveiled in Las Vegas. The company also showcased two variations of its CrystalSky prototype, an ultra-bright monitor developed specifically for outdoor aerial imaging operators, along with its latest aerial platforms including the Phantom 4 Pro, Inspire 2 and Mavic Pro. The Osmo Mobile turns a smartphone into a smart motion camera, giving creators the tool to effortlessly create cinematic videos. The new Osmo Mobile Silver was created with lifestyle in mind and shares the same high-quality build and ergonomic design found in the rest of the Osmo family. Using the DJI GO app, users can track their subject automatically, create motion timelapses, take dramatic long exposures, make 9-shot panoramas, and livestream their story to social media. Further enhancements have been added to the Osmo Mobile Silver to make every moment you shoot look smooth, professional and ready to share. A new Beautify mode uses automatic identification and intelligent processing technologies inside the DJI GO app, allowing users to do minor touch ups and give their videos that perfect, professional sheen. The Osmo Mobile Silver will also work with FiLMiC Pro, a professional filmmaking mobile app that gives creators more flexibility and creative freedom with their handheld device. With the goal to make products scalable and to provide a way for existing Osmo customers to capture cinematic videos with their smartphones, the Zenmuse M1 gimbal will be made available as an add-on accessory. Similar to the Zenmuse X5 and X5R gimbals, the Zenmuse M1 allows owners of the original Osmo stabilizer to mount a smartphone and take full advantage of their existing Osmo handle. Energy efficiency and high-capacity batteries give the Osmo Mobile Silver a maximum run time of 4.5 hours. The Osmo Mobile Silver is compatible with a range of smartphones, from 2.3 inches to 3.3 inches (58.6 mm - 84.8 mm) in width. The U.S. retail price of the Osmo Mobile Silver is $299 and the Zenmuse M1 gimbal is $169 (without the Osmo handle). Both products will start shipping in the second half of January. In celebration of Chinese New Year, DJI invited renowned illustrator and designer Martin Sati to customize the Phantom 4, adding colors and his imagination to this flagship DJI product. Sati’s design features the phoenix as the centerpiece, a symbol of good fortune and happiness in Chinese mythology. He also drew inspiration from the four basic elements of nature – air, fire, water and earth – and reflected each of these elements in his design. The Phantom 4 Chinese New Year Edition houses the same on-board intelligence that make piloting and shooting great shots simple through features like its Obstacle Sensing System, ActiveTrack and TapFly functionality. With 4K video recording, 3-axis camera stabilization, advanced computer vision and sensing technology, aerial imaging has never been so easy. The Phantom 4 also has DJI’s signature Lightbridge video transmission system onboard, allowing users to see what their camera sees in HD and in real-time at a distance up to 5 kilometers (3.1 miles). The Phantom 4 can achieve up to 28 minutes of flight time. The Phantom 4 Chinese New Year Edition’s U.S. retail price is USD1,199 and will be sold exclusively at Apple Stores, DJI Flagship Stores (except Korea), DJI Online Store and Tmall DJI Store. The product will start shipping from January 23. 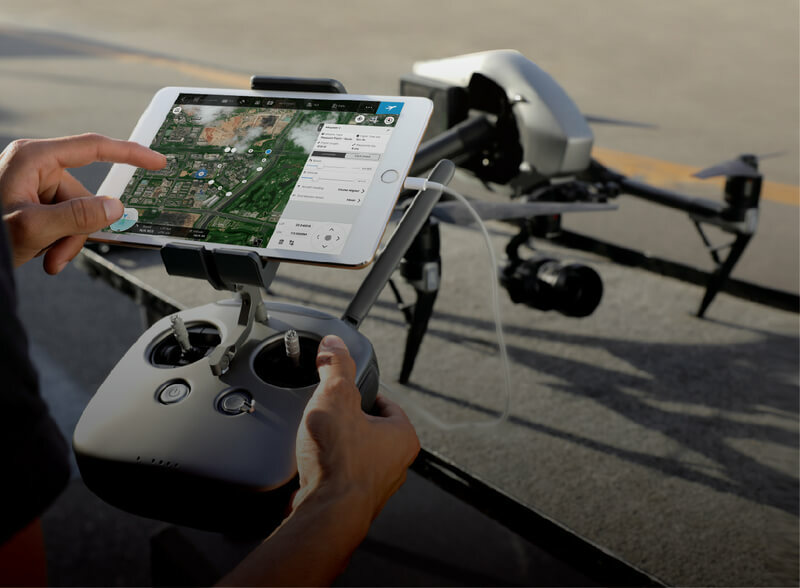 Ground Station Pro (or GS Pro) is an iPad app designed for professional operators to plan and control autonomous flights for DJI aircraft. Through the app’s concise, easy to use interface, complex flight missions can be planned with just a few taps. GS Pro was designed to improve workflow and dramatically increase efficiency in a wide range of industries, especially those in aerial mapping, architecture, precision agriculture and electrical inspections. The 3D Map Area function allows the aircraft to generate efficient flight paths after the operator has set their required flight zone and camera parameters. The aircraft will then follow this route throughout its mission. The image data captured during these flights can be input into 3D reconstruction software to generate 3D maps, while the mission itself can be saved for re-use. The Tap and Go Waypoint feature allows for up to 99 waypoints per mission and each waypoint can have up to 15 consecutive actions, including aircraft rotation, gimbal pitch, start/stop recording, photo capture, and hover. A Virtual Fence increases safety and ease of use by locking the aircraft’s height and speed within a designated area. As the aircraft approaches the virtual fence, it will brake and hover to ensure it stays within the flight area. Compatible with most DJI aerial platforms and Zenmuse cameras, the DJI GS Pro will serve as a powerful and convenient tool for many industries and give critical missions added accuracy and reliability. The GS Pro iPad app is free and available for download at the App Store. A maximum 2000 cd/m² of brightness means the CrystalSky monitor is more than four times as bright as typical mobile devices. On-screen details are clear and sharp, and colors are vibrant, giving the quality needed to fine-tune image composition. Optimized video decoding is used to provide smooth, real-time video with minimal latency. The monitor supports H.264 and H.265 video decoding, allowing it to play back files at up to 30 fps and 60 fps respectively. The CrystalSky monitor’s HDMI port allows up to 4K video to be output to FPV goggles and other display devices. The monitor’s storage can be extended, or footage recorded on a Micro SD Card can be played back directly on the monitor. It can also be used for footage backups. 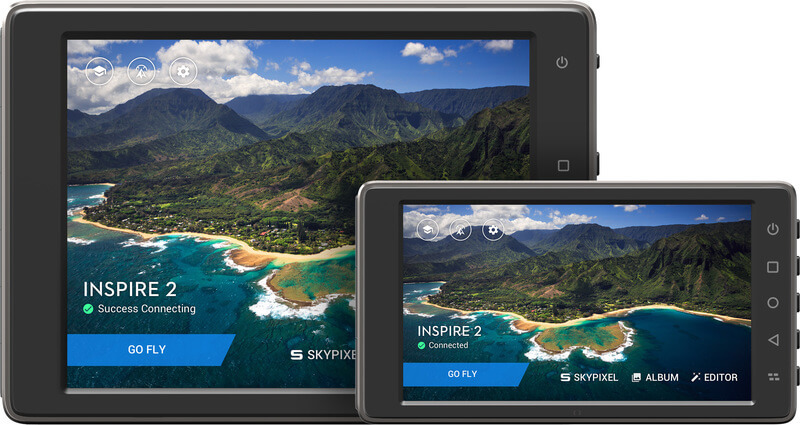 The embedded DJI GO app provides full access to all DJI GO features including aircraft parameter adjustment, camera control, footage management, and playback. A two-cell 4920 mAh external battery gives the CrystalSky monitor a longer operating time than comparable mobile devices. It supports quick charge, and controls its discharge rate well even in low temperatures. The external battery has been designed for more extreme temperatures. CrystalSky is able to operate in as low as -4°F (-20°C) and, with its internal cooling system, functions normally in temperatures as high as 104°F (40°C). The CrystalSky monitor will come in two sizes with 7.85" and 5.5" screens, and can achieve a maximum operation time of 4-5 hours and 5-6 hours respectively. Pricing and availability of the CrystalSky monitor will be announced at a later date.